In Swahili, Rafiki means friend. 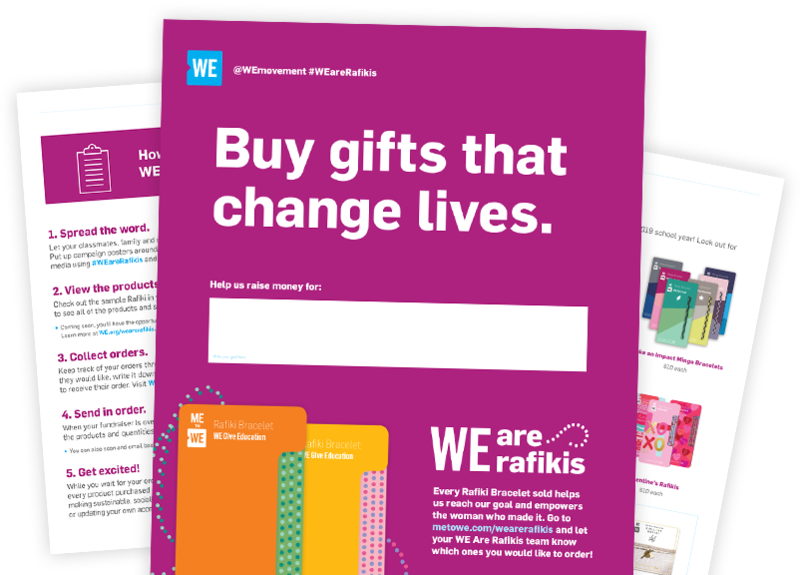 By joining the WE Are Rafikis campaign, you can fundraise—and shop!—to make a life-changing impact in the lives of others. For every $10 Rafiki Bracelet you buy and sell, $5 will go directly toward your school’s WE Villages fundraising project. Using traditional art forms, each handcrafted Rafiki bracelet empowers female artisans by enabling them to earn a fair wage for their work. For these Kenyan artisans, women’s empowerment means taking charge of their future—and they’re doing just that. By signing up, learning and spreading awareness about the issues you’re fundraising for, you’re helping women in developing communities earn money to invest in their futures and the futures of generations of girls to come. When families have access to the resources to meet their basic needs, they no longer have to choose between water or food, or school or medicine. 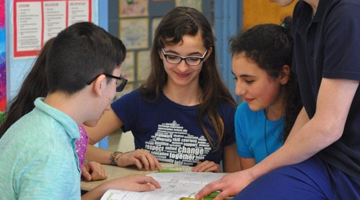 Use the Social Entrepreneurship: Connecting Communities resources to explore social entrepreneurship in your classroom. 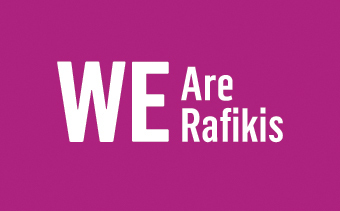 Download our fundraising resources and start taking action with WE Are Rafikis! 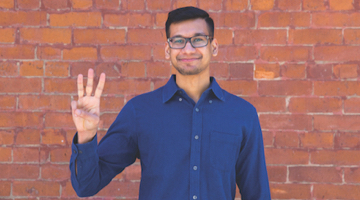 Here you will find an action plan to help you organize and host a successful fundraiser, as well as a poster and activity to help spread the word! Our fundraising resources can easily be downloaded onto your desktop when you browse from a non-mobile device. A special thank you to DHL, who empowers women every day through support of the ME to WE Artisans program. DHL believes in connecting people and empowering lives all over the world. The support that DHL provides to the ME to WE Artisan program provides sustainable incomes for women overseas. By fundraising with Rafikis you are further supporting these women and creating a positive impact in a developing community.